The term CROSS†OVER means two or more things brought together for a new purpose. When wearing a crossover shoe one can transition seamlessly from walking to jogging into aerobics. A crossover car features the best of a passenger car and a sport utility vehicle allowing more flexibility. This resource, Cross†Over, is exactly that…the *Wisdom of the Elder and the Wonder of the Child interacting in the same space, sharing the same experience – being the Body of Christ. Worship leaders and Christian education coordinators – be courageous! Combine the ideas offered below and create something new. If education hour is the same time as worship, suspend Sunday school so all ages can gather in worship. 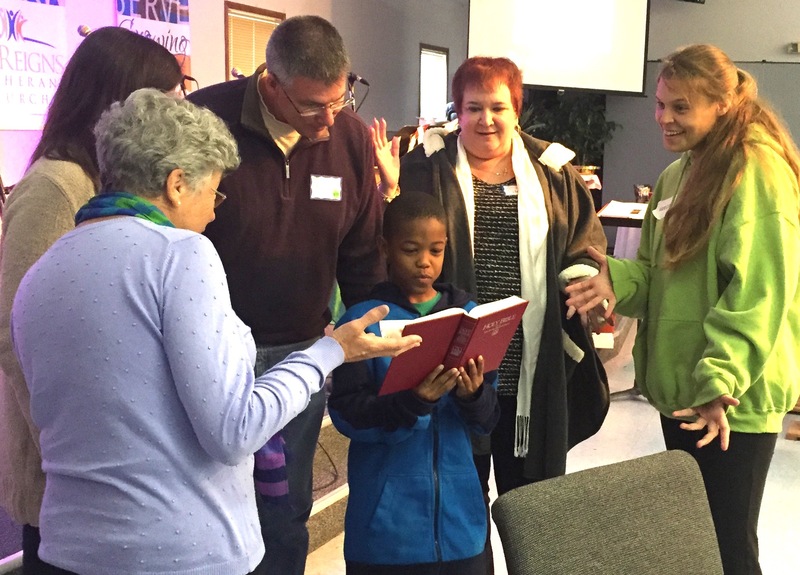 Bring elements of worship into learning, bringing all ages together for a multi-generational, faith-sharing time. Combine both and create one “Cross†Over” seamless experience for All Saints Day, November 1, 2016. Or Sunday, November 6. 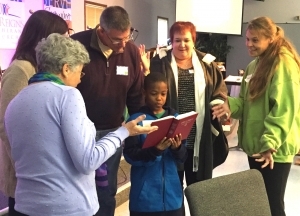 THE THEME Give an overview of your time together and the purpose of gathering all ages and generations for worship, learning and the sharing of faith. Explain that All Saints’ Day is one of the major festivals of the Christian Year. This feast serves as a celebration of all God’s servants and faithful believers, Christians who have come before us and those living among us. The communion of saints is made up of people from Bible times until today – those who try to follow Jesus and do the things that Jesus teaches us to do. It is a tradition in many congregations to remember those who have died during the previous year with the reading of names and the lighting of candles. All Saints Day invites us to hear the witness of faith by people as recorded in our Scriptures and as posted on Facebook, reflected upon in blogs or sent as tweets. This day is also an opportunity to honor those in our families, congregations, communities, and around the world, who are “heroes by faith” every single day. 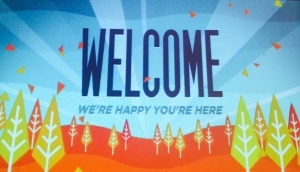 HOSPITALITY Even if it is not your norm, for this Sunday, use nametags. As people arrive, invite each to add a colored dot to his or her nametag that matches the year or decade one was born. 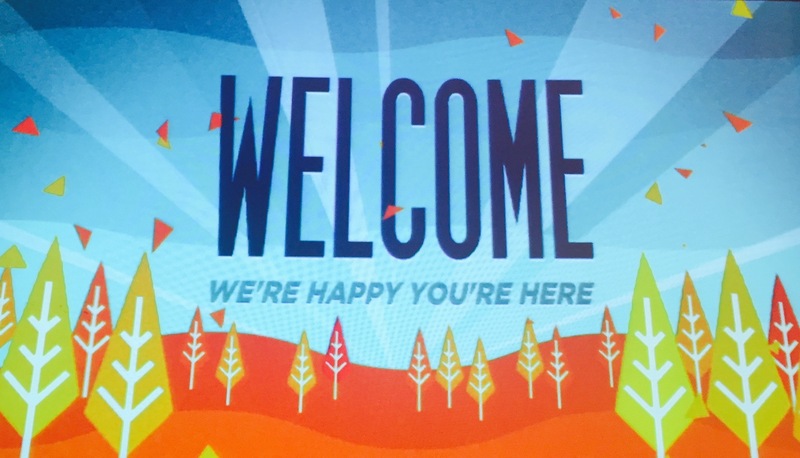 Welcome everyone – households with children and those without, households of one, empty nesters, multi-generational households – always aware of the first timers and single participant. Provide traditional treats for Day of the Dead in Mexico, such as sugar skulls and pan de muerto. Serve Soul Cakes (plain cake donuts. In an earlier time, instead of saying “Trick-or-treat,” children would say: “A Soul Cake, a Soul Cake, have mercy on all Christian souls for a soul cake!” It is believed that a clever medieval cook wanted to make Soul Cakes designed to remind people of eternity, so she cut a hole in the middle of round cakes before frying them, thereby inventing donuts! WORSHIP & GATHERING SPACE AESTHETICS Around the world, marigolds or chrysanthemums are flowers special for this celebration. Lavishly decorate your worship or learning space. 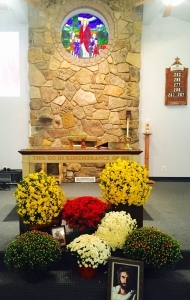 The altar is the Gathering Table for worship. If this is the education hour or a learning environment only, then create a Gathering Table for your time together. The Gathering Table lets people know from the moment they enter the space, the theme for the day. Place on the Gathering Table: a Bible opened to the text or story, denominational hymnal open to the listing of Saints celebrated during the year (ex: ELW p15-17), a candle, basin of water to remember one’s baptism, plus any props one will use to tell the Story or reminders of the Story to take home. Invite people to bring a picture of someone deceased in the last year. Photos could include famous people in one’ society in addition to friends and family members, pets and living Saints who serve one’s community and risk their lives to keep everyone safe, such as fire fighters, police officers. Prep for “Surrounded by a Cloud of Witnesses…” Hebrews 12:1 As people enter worship, invite them to write on precut “clouds”, the name(s) of those who has influenced his/her life of faith, living or who has died. Children might draw a picture of someone they know who loves them or has told them about Jesus. Place the clouds on the walls around your gathering space or worship space. When saying the words from the proper preface: “By the witness of the saints you show us hope of our calling… And so with (say names written on the clouds) and all the saints, with the choirs of angels and hosts of heaven…. “ In these words is an opportunity to remind the assembled of the great cloud of witnesses. Share your name and if you know the meaning of your name or whom you are named after. Our names are symbols of who we are and remind us that we are called as particular saints of God to offer our lives in loving service. SING the following familiar song by Louis Armstrong. Invite individuals, or small groups to spontaneously create new 2nd & 3rd lines for additional verses. Have a basket of tambourines and musical instruments ready to use. Invite people to clap, march in a circle or in place. Oh, When the Saints Go Marching In When the saints go marching in. Oh lord I want to be in that number, When the saints go marching in. When the air is pure and clean, When the air is pure and clean. Oh lord I want to be in that number, When the saints go marching in. When we all- have food to eat, When we all have food to eat. Oh lord I want to be in that number, When the saints go marching in. L: Sitting in your pew, or on the floor if your space allows, hold your hands together underneath your knees and bend forward as far as your body will allow your head to get close to/or touching your thighs. Take quiet time of reflection for all the “do-overs” from this past week. (Music in the background) After a brief time, invite folks to stand, if able. L: Stand with legs shoulder width apart and arms reaching up to God. In this pose we funnel God’s forgiveness and love that is already given directly to us. We reach and stretch with all our fingers and humbly receive God’s forgiveness. L: With hands flat, touching one another in front of one’s body, slightly bowing in a posture of gratitude, leader says, “God has wiped away our tears and our regrets. Let us be full of joy. Thank you God!” All: AMEN! HEAR GOD’S STORY: Reading of the Word There are several choices for this special day. 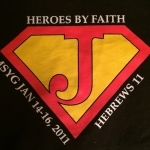 ♦ Hebrews 1, “by faith…,” a great could of witnesses and a recounting of the faith stories of Christian ancestors. SERMON or TEACHING Time All Saints Day is celebrated in different traditions in our communities and around the world. Consider offering a message that reflects the cultures in your neighborhood or our contemporary society as suggested below. Day of the Dead, Dia de los Muertos, is celebrated particularly in Mexico. 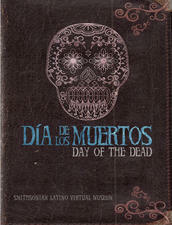 The Smithsonian has a Latino Virtual Museum iBook for free, including videos. If you have a Mexican/Latino congregation worshipping nearby or on your campus, invite the pastor or members of the congregation to share their traditions for celebrating these special days. Ask the children to be translators! Or you could choose to make this a teachable moment and honor the generations in your midst. Check out this beautiful idea from Faith Formation Journeys. Who are the faces of the generations in your faith community? Invite a grief counselor to be a guest preacher for the day. Provide an opportunity during the Cross+Gen gathering to continue the conversation. Invite someone who is part of a congregation grief group to speak about their journey of faith during the loss of a loved one. Who is someone who has influenced your life or helped you in a positive way Whose name did you place on a cloud? Why? Provide 4×6 note cards for households or individuals to write the names of loved ones who have died (one name per card) plus the DOB & DOD and one sentence that symbolizes the person’s career, skills, interest or passion. 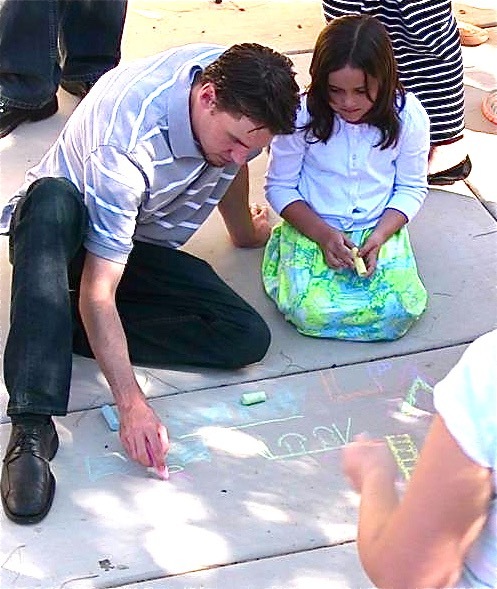 Using chalk, design and create “memorial stones” using the squares of the sidewalk surrounding the church to incorporate the information on the note cards. If no sidewalks or inclement weather – use squares of newsprint then post the memorials to the walls surrounding the gathering space. ♦ As people enter worship have a table with an explanation of the Memorial Stone Project. Invite people to write the name(s) and DOB/DOD of those they wish to honor on the note cards, including the one-sentence tribute. 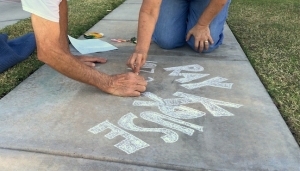 During worship, the “Memorial Team” made up of mixed generations (or it could be a youth ministry project) designs each tribute on the squares of the sidewalk surrounding the church or on large newsprint then displayed in a gathering space where all will enter following worship. ♦ Following worship or during a Cross+Gen learning hour, groups of 4-5 people of mixed ages each take a card and together design a “memorial stone” in honor of the person written on the note card. If you do this activity as household units, be intentional about forming new “households” of single individuals. Or encourage existing households to include single individuals as the adopted cousin, aunt/uncle or grandpa/grandma. Leave no one behind or alone! PRAYERS Invite folks to audibly name saints (in addition to the ones who have passed away in the last year) that have touched people’s lives. 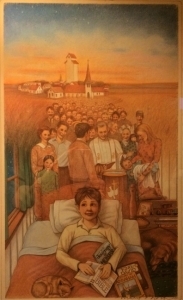 During worship the children could draw pictures of saints they have known and bring them forward during the prayers. Call out the names on the clouds (Cloud of Witness activity) near where people are sitting or standing. Offer the names up in prayer. Have people turn to one another and briefly share about someone who is like a a saint to him or her. While music is playing, invite people to light candles or LED candles on a Side Table in the worship space or on the Gathering Table, in memory of relatives, friends, even pets who have died or in honor of those people special to us in our daily lives. Read the list of Saints’ in your denominations Hymnal or Prayer Book incorporating the suggested response. CREED In the Apostle’s Creed we profess in the communion of saints. As you say the creed gather together, invite folks to remember who else is saying these words of faith with them this day. 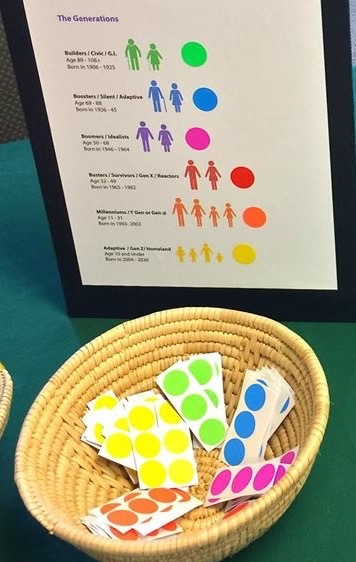 COMMUNION & SHARING a MEAL Gather everyone in one large circle around the Altar or Gathering Table, from oldest to youngest, using the colored dots on nametags as a guide or simply calling out the various decades. Remind folks that in the Apostle’s Creed we believe in the communion of saints. Sharing communion around the altar invites us to think about whom else is sharing in this holy meal from generation’s past and present. This is a “Circle of Blessing” and of generations, a community of faith where stories are shared and faith is nurtured. Serve “pan de muerto” bread for communion. This bread is a specialty for Day of the Dead. Buy it at a local Hispanic grocery or make it using this recipe. 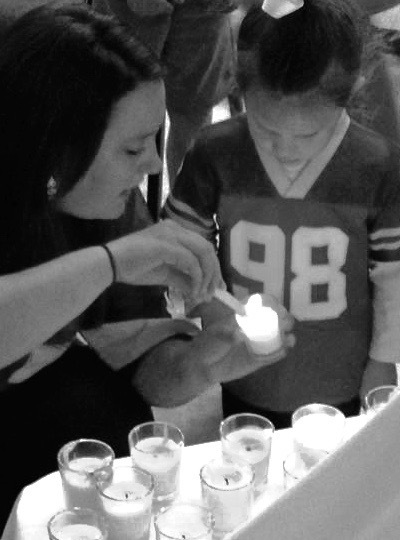 BLESSING THOSE IN YOUR COMMUNITY All Saints Day is an opportunity for community outreach. 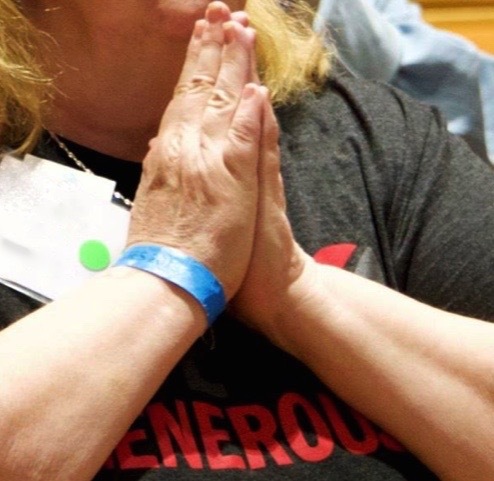 As Cros+Gen small groups or households write letters of thanks to those Heroes of Faith in your neighborhood who risk their is to keep you safe: local police officers, those serving at your local fire station, emergency rooms at near-by hospitals, school cross+walk patrols, veterans, etc. Consider delivering something edible and homemade. Invite people in the neighborhood to create Memorial Tributes on cement areas your parking to and sidewalks surrounding your church. Serve coffee and cider as people stop by. TAKING IT HOME Create Memory Stones on the sidewalks that may surround your household’s dwelling. Dedicate them to family, friends or pets that have died. Invite neighbors to join you. Serve cider and donuts. Dear friends, Be prepared for the unleashing of the Holy Spirit as all ages and generations experience and celebrate Christ in the lives of those before us and among us. I. Sing a Song of the Saints of God, patient and brave and true, who toiled and fought and lived and died for the Lord they loved and knew. And one was a doctor, and one was a queen, and one was a shepherdess on the green; they were all of them saints of God, and I mean, God helping, to be one too. 2. They loved their Lord so dear, so dear, and his love made them strong; and they followed the right for Jesus’ sake the whole of their good lives long. And one was a soldier, and one was a priest, and one was slain by a fierce wild beast; and there’s not any reason, no, not the least, why I shouldn’t be one too. 3. They lived not only in ages past; there are hundreds of thousands still. The world is bright with the joyous saints who love to do Jesus’ will. You can meet them in school, on the street, in the store, in church, by the sea, in the house next door; They are saints of God, whether rich or poor, And I mean to be one too. Permission is given for congregations and households to use and expand upon the ideas offered in this resource. The title and phrase “Cross†Over,” resources and the ideas contained within are not to be sold or used for profit. Please give credit when applicable.